Does anyone have experience using seech recognition with dyslexia? Thanks for your reply. There is so much potential in the utilization of Computer Technology to help overcome barriers imposed by physical limitations and yet it can be so difficult to find meaningful information that might apply to any of us individually. Sharing your experience on this board certainly may help as others share their experiences with you. Voice dictation has great potential in helping us cope with dexterity difficulties. Which programs have you tried? Thanks for the welcome: sadly I'm a buyer seeking information to alleviate my disabilities, not a seller of SR product or software! Specific guidance is what I'm after in terms of fading eysight and negative finger dexterity. In order to advise on disability aids, what information do you need? I'm increasingly partially sighted and have defective hands. While I'm new to WSR, I've had a few years experience with Dragon NS v. 9.5 Pro now. Welcome to the forum! From the sounds of your note to Bill, it appears that you might be a provider of technological services to the disability community. If so, we would be very interested in information you can provide with the services that you offer. If, like many of us, you have developed expertise with voice dictation products we would like to hear about your experience with that as well. Again, welcome aboard and we look forward to hearing from you. 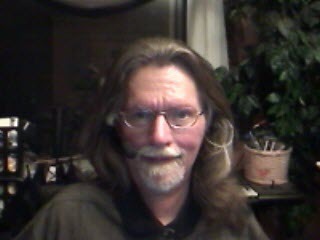 The moderator of this forum is Jerry F. Unfortunately Jerry has been out of sorts due to the recent storms in Florida. As a matter of fact Bill who you were posting to also had to leave his home in Florida due to the heavy rains/flooding. I am sure they will respond to you within the next couple of days. Bill, welcome to the board. I know that we have a lot to learn from you! It's a pleasure meeting you. for the disabled.. all types. The forum is Section 508 compliant. "everyday" keystrokes/mouse clicks, to accomplished our daily tasks. well as the "Father" of WSR Macros as contributors to the forum. tasks without having to touch the keyboard and/or mouse clicks. and by using simple, everyday two or three word commands. our help and macro-making support we are quite proud to offer.